How do you even begin to review a book like Burial Rites? I’ve already rewritten just this first line about five times now – I don’t know where to start. Okay, so I’m not a big reader of adult fiction. I’d like to say that I’m a diverse reader, but really I tend to stick to my YA books and not really branch out. 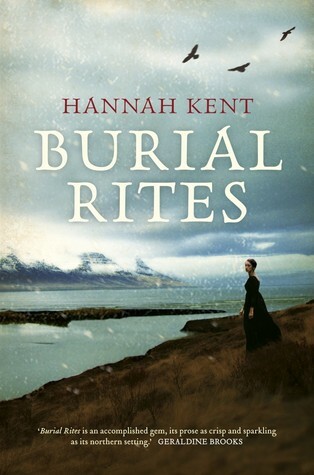 Burial Rites wasn’t a book I was ever interested in – I’d heard good reviews of it, but the fact that it was adult fiction meant that I’d probably never really get around to it. I don’t know what changed my mind, but one day I picked it up at the bookstore and then wrapped it up for myself for Christmas. I wanted to start this on Christmas day, but I held myself back because I wanted it to be my first read of 2015. I wanted to start the year off on a high, and I had this feeling that this was going to be the perfect book. It was. I got about twenty pages into this before I’d decided that I was completely in love with it. The story is so completely unique, especially in comparison to the majority of the books I read. 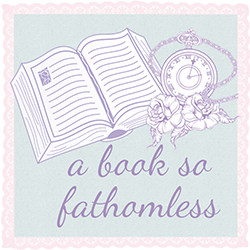 I found that I could not stop reading – I’d tell myself that I’d just read to end of a chapter so I could go off and do whatever, and then suddenly I’d read five more chapters. I could have finished it in the one sitting, but it was late and I had to be up early and be social the next day (Don’t you hate that?) I just had to know more and more about the story and the characters, and since I’ve been in a bit of a reading slump lately…that was the best feeling. I’m going to break this down into a few sections now. Firstly, I want to talk about the setting. This is set in 1829 Northern Iceland, if that doesn’t sound amazing to you then clearly you have a problem. I’m going to admit, I’m kind of (really) obsessed with Scandinavia lately so this was the perfect book for me right now. Most of the story takes place on farms, which admittedly doesn’t sound like a really interesting setting, but I was so enthralled by the characters’ lives and the stories that the fact it was set on a farm just made it more interesting to me. Secondly, the writing. Oh my god – THE WRITING! Usually if I’d picked up this book it probably would have taken me a couple of days to read, maybe a couple of weeks because I often find historical fiction to be quite dense and usually I really have to concentrate on all the little details but this was different. The writing completely sucked me in – it’s so beautiful and haunting and I just couldn’t stop. I think one of my favourite things is that you get two different perspectives – one perspective is first person of Agnes, and the other is third person. I’m not usually a fan of first person, but I absolutely adored being able to get into Agnes’ head and hear her thoughts and worries and her view of herself as well as the other characters. Thirdly, the characters. Going into this book, I honestly did not expect to feel sympathy for a lot of the characters that are introduced at the start. HA! By the end of the book, there were characters that I’d originally hated that I now loved and ones who’d I liked that I would happily stab now. I think the biggest surprise for me was Agnes – I did not expect to sympathise with her at all, but now she’s honestly one of my new favourite characters. With this being based on a true story, I feel kind of weird saying that but I also kind of want to wrap her up in a blanket and give her a cup of tea. I’m pretty sure that wouldn’t have been common practice in 1800’s Iceland for a convicted murderess. So now comes the part of the review where I beg you all to pick up this book. I know I say this a lot, but this is honestly one of the best books I’ve ever read. I’ve even got a new goal in life which is to convince absolutely everybody in the universe to read this book – it was just that mind-blowingly good. If you’re even considering reading this book, then let me convince you to. If you’re not sure if you’re interested, then yes, I will talk about this book to you so much that eventually you just get sick of hearing about it that you pick it up. And if you’ve already placed your order on Book Depository/Booktopia/Amazon/Bookworld/whatever, then let me send you some cake because you’re beautiful. Seriously though, READ THIS BOOK.